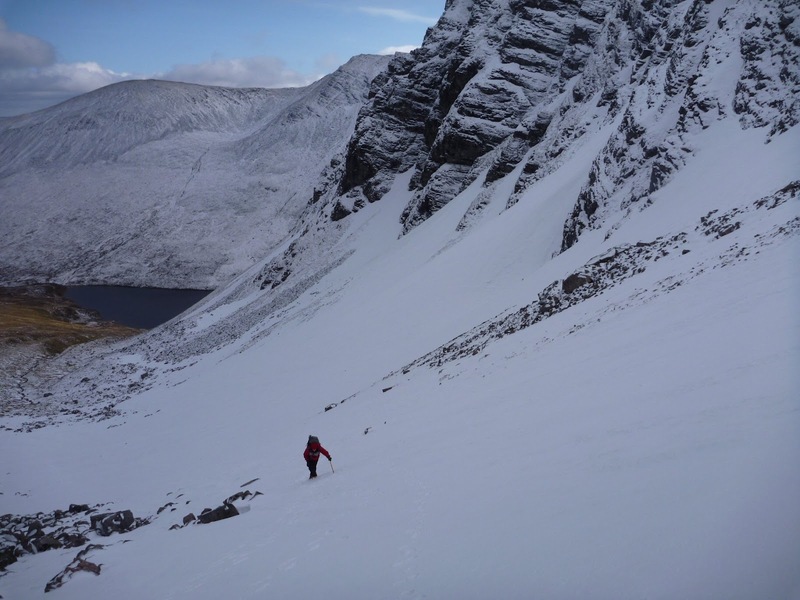 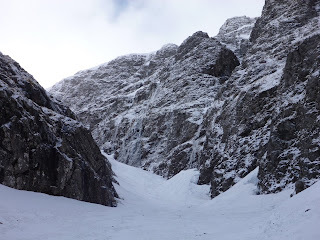 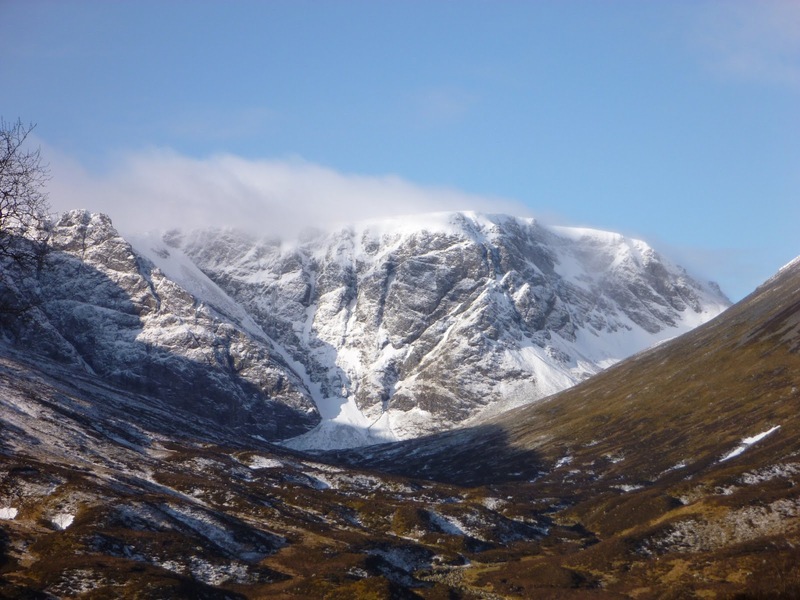 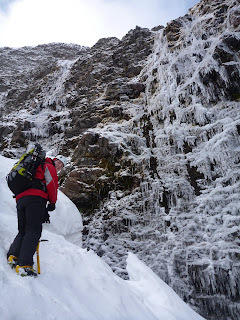 Carron and I went to Creag Meagaidh in search of some more steep snowy ground for Carron to practise for her upcoming winter mountain leader assessment. 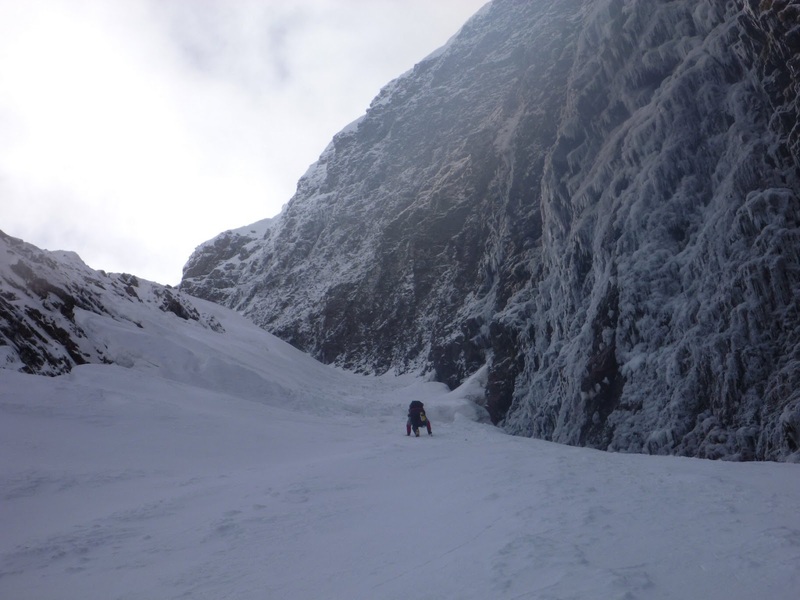 We chose to solo up Easy Gully on great snow for crampons but about half way up our way was barred by what could only be described as a crevasse. 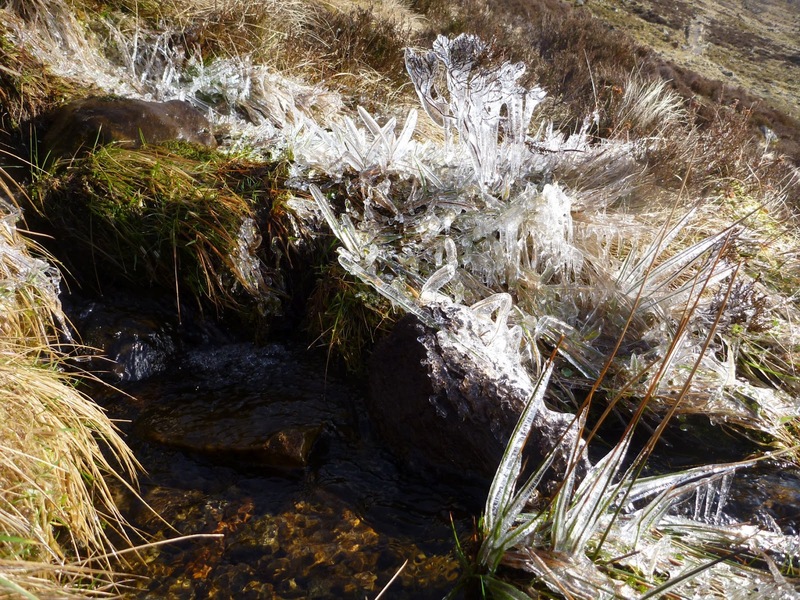 I peered over and it seemed to drop a good few metres to the rock below. 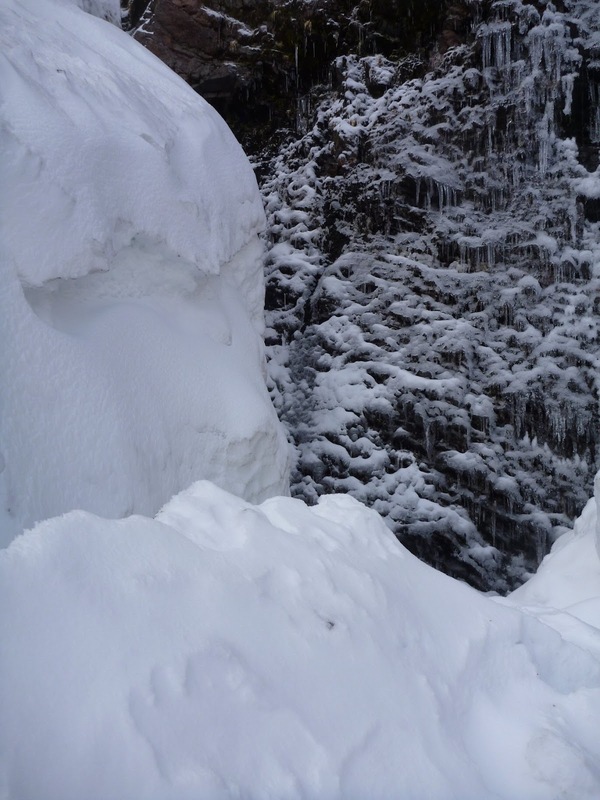 The break in the snow stretched right across the gully and would have been entertaining to cross had we got out a rope, another axe and started setting up belays. As this wasn't really our plan for the day, we climbed back down thinking about how best to move in descent. 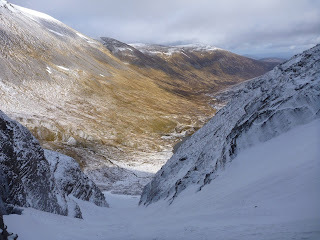 After our first lunch down at the lochan we walked up to the Window for another lunch and some views. 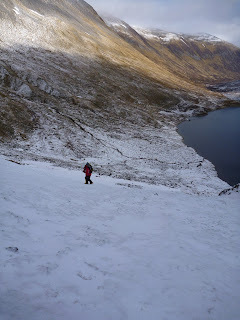 It was nice to bump into Kate and Florence who were also out looking at winter ml skills. Carron had met Kate on a recent course - it's a small world! Maybe some more photos from Carron later? Meanwhile Ron was out last night and today at the snowhole we stayed in on Thursday and more on his blog here once he has updated it!